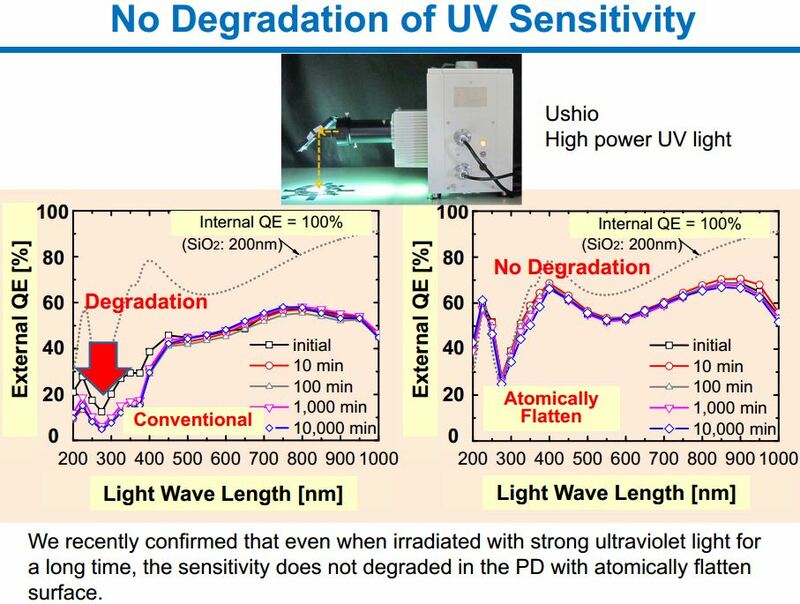 That because of the long optical path length to improve the photoelectric conversion efficiency, high sensitivity can be obtained. The patent application also talks about Foveon-like sensor structure. Thanks to AA for the link! 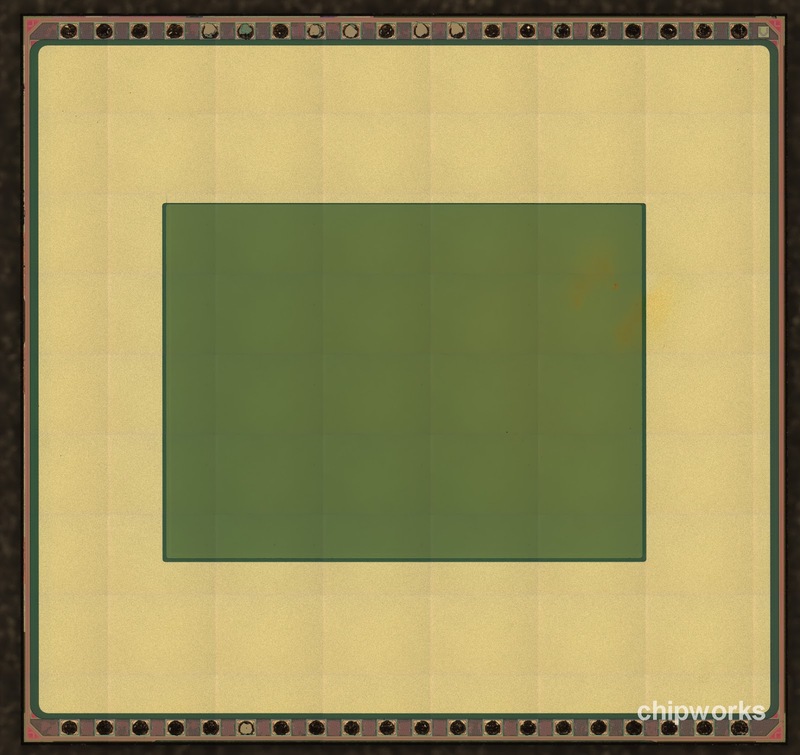 e2v has added the 2MP EV76C570 device to its Sapphire family of industrial CMOS sensors. 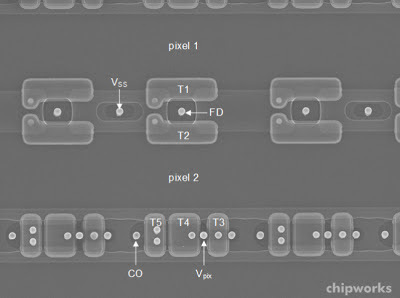 A 1/1.8-inch sensor is based on 4.5um pixels. An extra effort has been spent to make it compatible with older 1.3MP sensors in Sapphire family, including the pinout, package, optical format and register banks retained to minimize customer efforts to adapt the new 2MP product. Formerly known by its CCDs, Truesense Imaging re-enters CMOS image sensor market with the new 12MP 4/3-inch KAC-12040 based on 4.7um 5T global shutter pixel. The new sensor is delivers 60fps at full resolution of 100fps in 4K 8.3MP 16:9 mode. The fast output is delivered through 64 LVDS lanes in 260MHz DDR manner. The ADC resolution can be selected in 10b to 14b range. The power consumption is 2W in 12MP/60fps mode. The pixel full well is 13Ke-. The read noise is 10e in rolling shutter mode and 30e with global shutter, meaning DR of 62dB with rolling shutter or 52dB with the global one. The reported QE for Bayer color version is 40%, 45%, 43% at 470, 540, 620 nm respectively. The monochrome version's QE is 50%, 18%, 11% at 500, 850, 900 nm respectively. The KAC-12040 Image Sensor is available in monochrome and Bayer color configurations, and is sampling now with production planned for Q2, 2013. 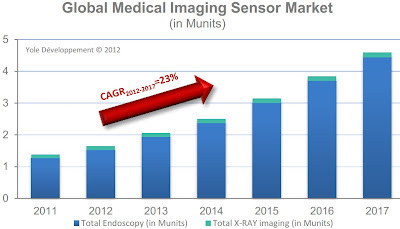 An evaluation system that allows detailed analysis of the sensor’s performance is expected to be available in Q4, 2012. The KAC-12040 CMOS sensor is said to be the first in a planned family of CMOS devices that complement Truesense Imaging’s CCD portfolio by providing the functionality and flexibility available uniquely from CMOS technology. Sony introduces F55 high-end digital cinema camera featuring the new 4K/8.9MP super-35mm sensors featuring global shutter and wider-than-film F65 color gamut. The new sensor deliver 60fps in 4K mode or 180fps in 2K mode with the same FOV (see the camera's brochure). PR Newswire: OmniVision announces the OV8835, a 8MP 1.4um pixel sensor for smartphones and tablets, an improved version of similarly speced OV8830. The 1/3.2-inch OV8835 is built on a newly improved 1.4um OmniBSI-2 pixel that delivers dramatically improved sensitivity of 1000 mV/(Lux-sec), a 20% improvement over the previous-generation OV8830 (however, the product brief doc gives 824mV/(Lux-sec), same as the older OV8830). Other performance improvements over the OV8830 include a 20% improvement in low-light performance and a 25% improvement in full-well capacity. 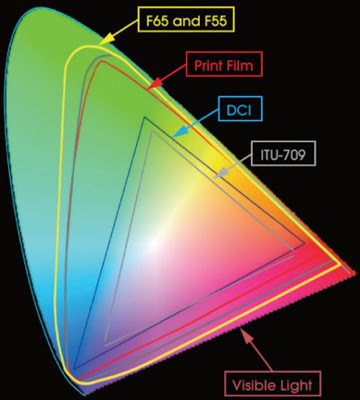 (Note that the older OV8830 was said to deliver 20% improvement in peak QE in all color channels, 35% improvement in low-light sensitivity, and 45% increase in full well capacity over the first generation OmniBSI). The dark current of the new sensor is 10e/s at 50C. 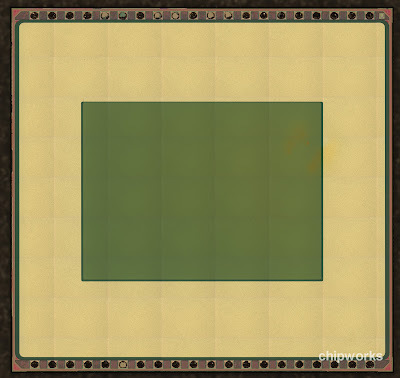 The new OV8835 sensor delvers 30fps at full 8MP resolution for zero shutter lag (was 24fps in the older OV8830). The current consumption at that speed is 152mA, the power is 265mW. It is capable of capturing full 1080p30 video with EIS, or 720p60 video with full horizontal FOV. The sensor's 2 x 2 binning functionality with post-binning resampling filter minimizes special artifacts and removes image artifacts around edges. The OV8835 fits into an industry standard 8.5 x 8.5 mm package. 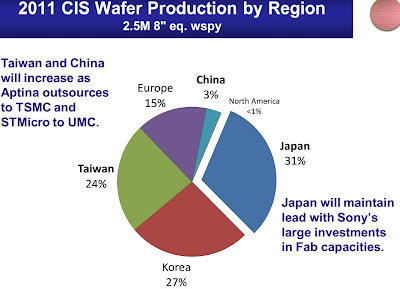 It is currently available for sampling and is expected to enter volume production in the Q4 2012. PR Newswire: OmniVision introduces the OV5645, a 1.4um BSI pixel-based 5MP SOC that targets the cost-sensitive segment of the mobile handset market. 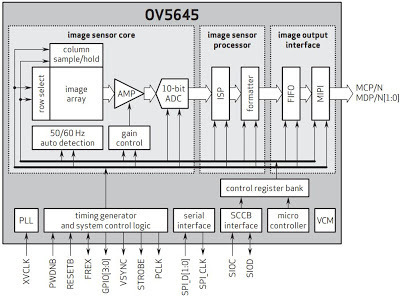 As the successor to a popular OV5640, the new low-cost OV5645 has retained only a MIPI port, eliminating both the bandwidth-limited DVP interface and the costly embedded JPEG compressor. With an embedded AF VCM driver, the OV5645 offers further cost savings for manufacturers. 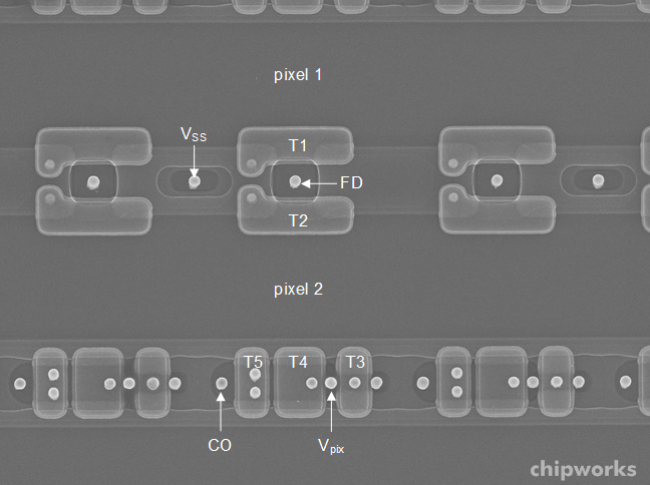 "Industry analysts predict 5-megapixel image sensors will remain highly popular for mobile devices for the next few years. 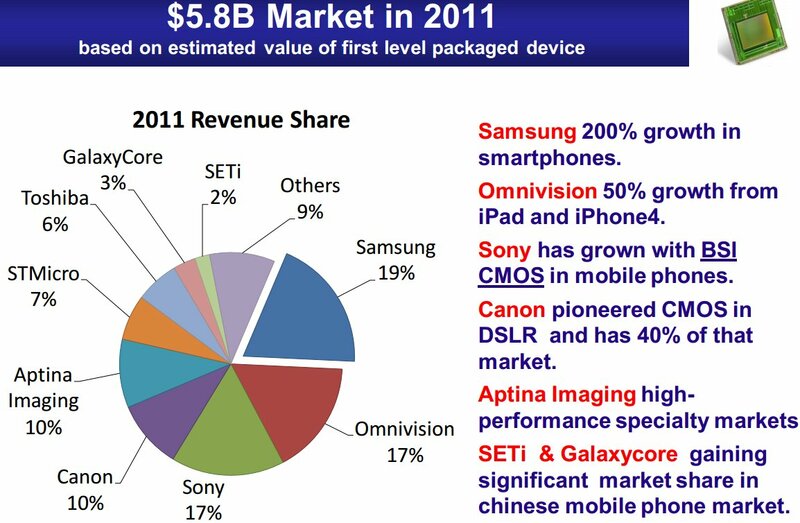 Consequently, there is an increased need for cost-effective 5-megapixel cameras that meet the requirements of mainstream mobile markets," explained Per Rosdahl, senior product marketing manager at OmniVision. 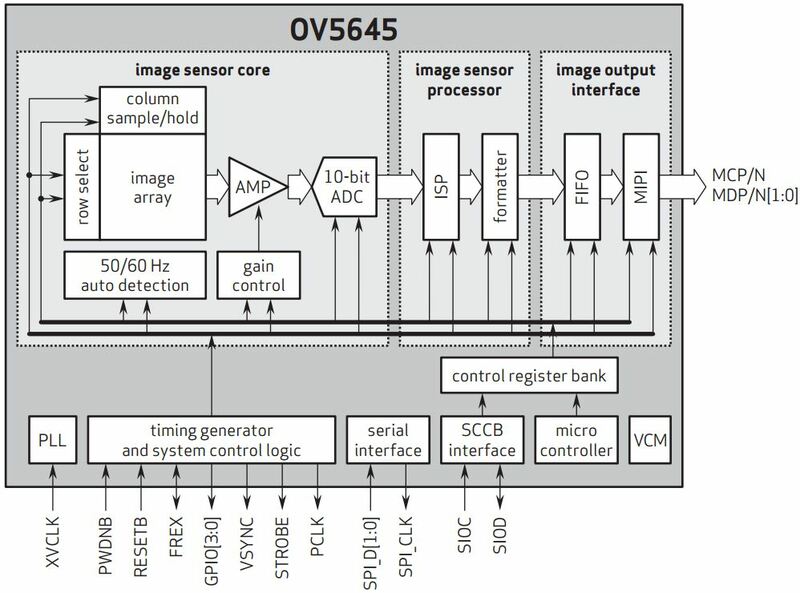 "The OV5645 SOC sensor provides handset manufacturers with a fully-featured yet extremely cost-effective solution that delivers the high-quality image capture and HD video currently required in the mainstream handset market. In addition, the OV5645's increased CRA enables ultra-thin camera modules with z-heights of approximately 4 mm, which is a key requirement for many OEMs' future products." The OV5645 also features a new picture-in-picture (PIP) based on a master/slave configuration where a secondary camera (e.g., one based on the OV7965) can be connected to a master camera (OV5645). The new OV5645 offers 720p60 or 1080p30 video modes. The 720p HD video is captured in full FOV with 2 x 2 binning. Additionally, a unique post-binning, re-sampling filter function removes zigzag artifacts around slant edges and minimizes spatial artifacts to deliver even sharper, crisper color images. The OV5645 comes in CSP and RW packaging options and is now available for sampling, with mass production expected to begin in the Q1 2013. 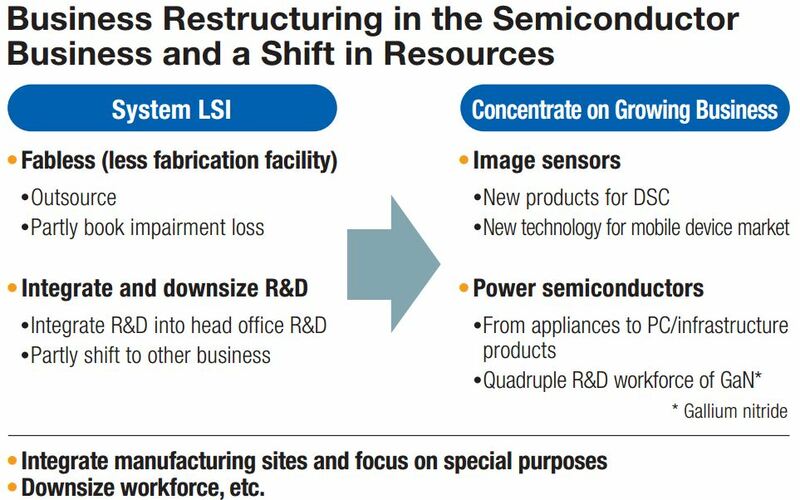 Panasonic and ON Semiconductor published new catalogs presenting their image sensor lineups. Marketwire: Mobileye and ST announce that their jointly developed vision processor SoC, using Mobileye's EyeQ technology, is now deployed in more than one million vehicles around the world. With a growing list of manufacturers building the system into their vehicles, including BMW, GM, Volvo, Ford and many more, ST and Mobileye expect to continue to expand their presence in the automotive safety market. Developing driver safety technology since 2005, Mobileye and ST have delivered two generations of vision processors that use Mobileye's collision avoidance technology and ST's automotive-grade manufacturing and expertise to 'interpret' a scene in real-time and provide drivers and their vehicles with an immediate evaluation. The third-generation EyeQ3 is in development and will be introduced by car makers as early as 2014. "The deployment of our millionth device is a major milestone in Mobileye's development and growth, and speaks to the strength of our partnership with STMicroelectronics," said Ziv Aviram, CEO of Mobileye. "More significantly, it exemplifies the growing commitment of global automakers, lawmakers and consumers to making driver safety a top priority, a reality we can all be proud of." Marketwire: CogniVue unveils its next generation APEX-2 Image Cognition Processing engine that is said to revolutionizes embedded vision technology. The APEX-2 makes significant advances in vision processing performance per area per power over the original APEX (which already had up to a 10x advantage over competitive approaches). CogniVue will be releasing new ICP products based on APEX-2 in 2013 and will also be licensing APEX-2 IP to strategic partners. "Our ICP products, based on our current APEX technology, are already penetrating a number of markets. We see significant semiconductor vendors struggling with a lack of adequate vision processing IP (chips and software) to complement their existing processor architectures similar to when GPUs were first introduced for graphics processing more than a decade ago." said Simon Morris, CEO of CogniVue Corporation. "By licensing APEX technology to strategic partners like Freescale, we enable new embedded vision roadmaps in different markets, accelerate the propagation of our technology into even more applications, and grow our code base overall. With APEX-2, we have an even higher performance embedded vision processing platform with enhanced flexibility to advance our next-gen ICP product line while also enabling our strategic partners like Freescale." "Today's collision avoidance systems are typically enabled by digital signal processors or field-programmable gate arrays. Freescale is taking a different approach by integrating CogniVue's Image Cognition Processing IP into our processors, providing massively parallel processing in small packages and with very low power consumption." said Ray Cornyn, VP of Freescale's Automotive MCU Division. 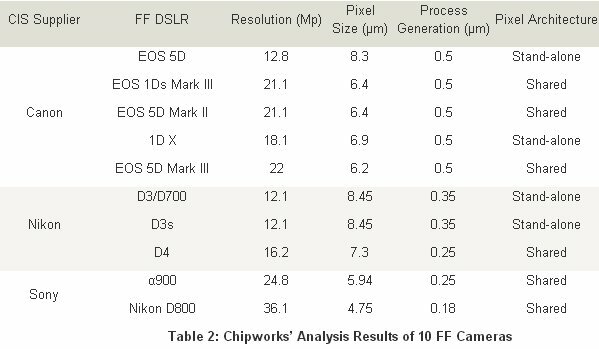 Chipworks concludes its full frame sensor reviews by a discussion of the new Leica "M" rangefinder sensor designed by CMOSIS in cooperation with ST and manufactured by ST. 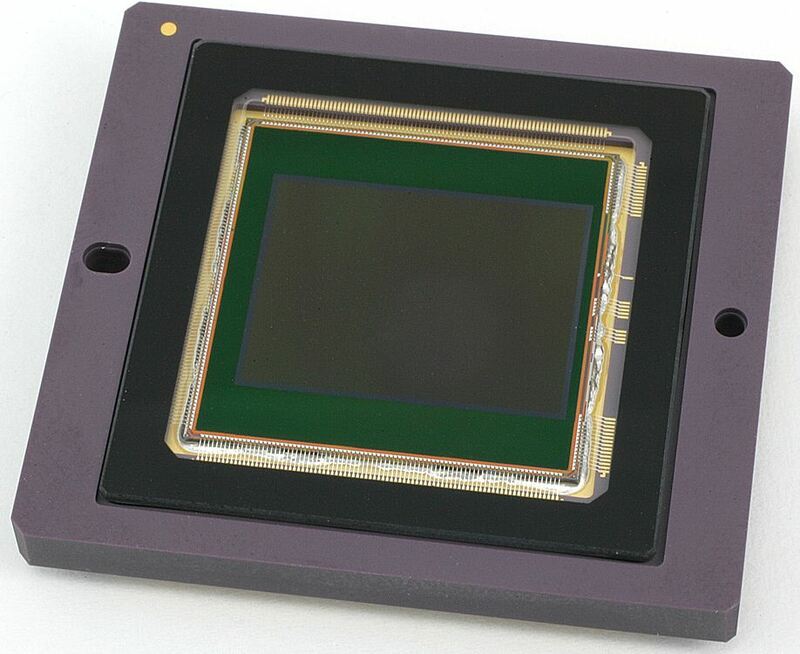 The sensor is based on ST's IMG175 300 mm Cu process, originally developed for 1.75um mobile CIS. The process has been adapted to 6um pixels and use 0.11um design rules for the front end of line (FEOL) processing and 90nm design rules for the BEOL. This is the most advanced process node among the full frame sensors vendors. 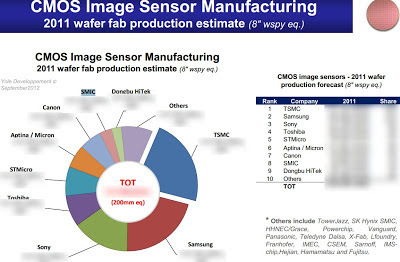 "Another product segment, CMOS image sensor. We have made significant improvements in optical performance. And dual cameras and higher-resolution sensors have been introduced in smartphones and tablets as an example of value-added increase in mobile products." Thanks to RF for the link! New Imaging Technology (NIT) announces a new global shutter member of its WDR sensor family - the 1.3MP, 140dB NSC1003. It's said to be the first sensor delivering a DR of more than 140dB in a single frame, a resolution of 1.3MP and a global shutter function combined. 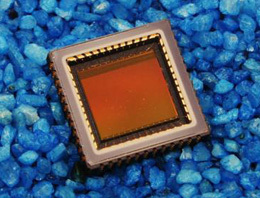 The sensor is based on 6.8um pixels and has 2/3-inch optical format. The sensor has global and rolling shutter readout modes and provides a differential analog output. The NSC1003 is available for pre-order. NIT is going to demo the new sensor at the VISION Show 2012 in Stuttgart on Nov. 6-8. NIT also nominated for Vision Award for its MAGIC 3D stereoscopic platform. Canon announces that it will be recognized at the 64th Annual Technology & Engineering Emmy Awards for "Improvements to Large Format CMOS Imagers for Use in High Definition Broadcast Video Cameras." Canon debuted its large format CMOS sensor in EOS C300 Digital Cinema Camera in November of 2011 at a global launch event held at Paramount Studios in Hollywood. By exploring alternatives to the established Bayer color filter array algorithms, Canon was able to achieve an overall image quality capture through its CMOS sensor that has helped bring digital cinema closer to the superb aesthetics associated with 35 mm motion picture film. Over the past 10 months, the company has introduced a total of three high-definition, high-performance Cinema EOS digital cinema cameras—the EOS C300 Digital Cinema Camera, the EOS C500 4K Digital Cinema Camera and the compact, lightweight EOS C100 Digital Video Camera—all built around Canon's Super 35mm CMOS image sensor technology specifically developed for Cinema EOS motion image capture. Separately, the EOS-1D C 4K DSLR Cinema Camera, equipped with an 18.1-megapixel full frame (36 mm x 24 mm) CMOS image sensor, also joined the Cinema EOS product family in April of this year. For professional photographers, and independent and student filmmakers, Canon has also introduced the EOS 5D Mark III digital SLR camera, building on the strong success of the EOS 5D Mark II in film and television production. Truesense Imaging launches 1080p and 4MP CCDs based on 7.4um pixels. The KAI-02170 CCD is a 1” optical format device in 1080p (1920 x 1080) resolution supporting frame rates up to 60 fps ( with 4 outputs), while the KAI-04070 provides 4MP (2048 x 2048) resolution in a 4/3 optical format at up to 28 fps. When compared to a 5.5um pixel, signal-to-noise and low light performance in 7.4um platform have been enhanced through an 80% increase in light gathering capability of the pixel, and smear rejection has been improved four-fold to -115 dB. Dynamic range has been doubled to 70 dB, and can be extended even further to 82 dB in binned pixel operation. The KAI-02170 and KAI-04070 CCDs are sampling today, with a full evaluation kit available that allows the performance of the new devices to be examined in detail. Truesense blog tells more about the placement of the new devices in the company's product line. Shigetoshi Sugawa from Tohoku University, Japan presented "Achievement, issues, and next steps of CMOS image sensors" at 6th International Workshop on Semiconductor Pixel Detectors for Particles and Imaging (PIXEL2012) held on September 3 – 7, 2012 in Inawashiro, Japan. DPReview published an interview with Sandor Barna, VP and GM of Aptina's Consumer Camera BU, talking about the opportunities to bridge the gap between APS-C DSLRs and compact cameras with Aptina's 1-inch AR1011HS sensor. The 10MP sensor is based on 3.4um pixels and features extended DR with DR-Pix technology and 4K60 video. 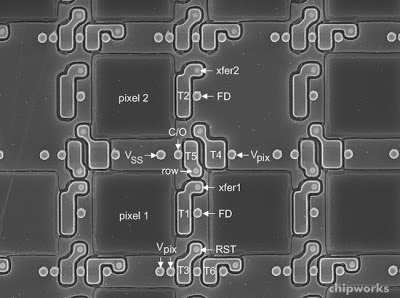 Sandor says on double-gain DR-Pix pixel size scaling: "We've tried to apply DR-Pix in pixels as small as 2.5 microns, and we might ever get it down to 2.2 microns". ETNews.com reports that SK Hynix announced on Oct. 17 that it recently had succeeded in developing a 8MP BSI prototype. This allows the company to overcome FSI sensors limitations and close gaps with its competitors, according to the ETNews article. A spokesperson for SK Hynix said it expects the new technology is expected to lead to huge improvements in its market share of the mobile CIS, which currently hovers around 8%, and its profitability. The company aims to apply the BSI technology to a majority of its CIS products by 2014. Korea Times reports about a partnership between Samsung and Hynix where Hynix supplies sensors for Samsung smartphones and tablets. The newspaper's sources say that SK Hynix has been providing Samsung with 5MP sensors for its lower-end smartphone models. Samsung is said to buy about 45% of the image sensors manufactured by SK Hynix. 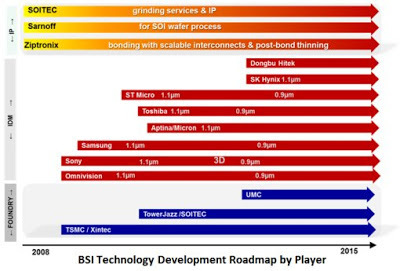 "As cameras in mobile devices have become essential features, we are buying more backside illuminated (BSI) sensors from SK Hynix because they provide good pricing and output commitment," said an unnamed Samsung official Friday, Oct 19. "The resolution in phone cameras has been improving, evidenced by lavish pixel counts. We need to hedge risks across suppliers and we are still buying billions of dollars worth of sensors from Sony. 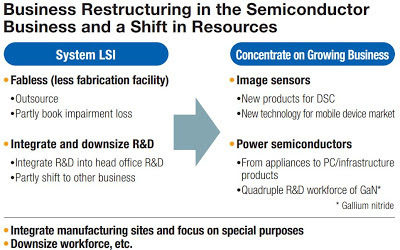 But it’s also true that we are increasing BSI sensor supplies from SK Hynix significantly." 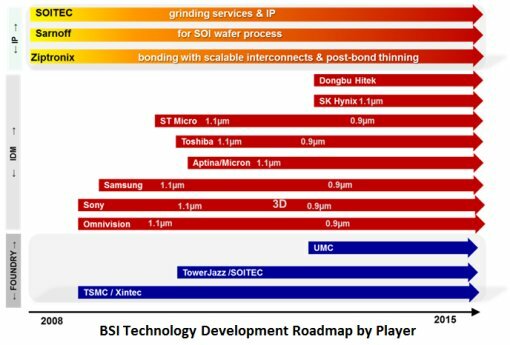 An unnamed Hynix official said about his company's BSI plans: "We are heavily investing to boost our presence in the market for these sensors. From the first quarter of next year, we will be mass producing sensors for eight-mega pixel cameras and from late next year for 13-megapixel cameras." Hynix' revenue from all its non-memory businesses, including image sensors, is reportedly below 5%. 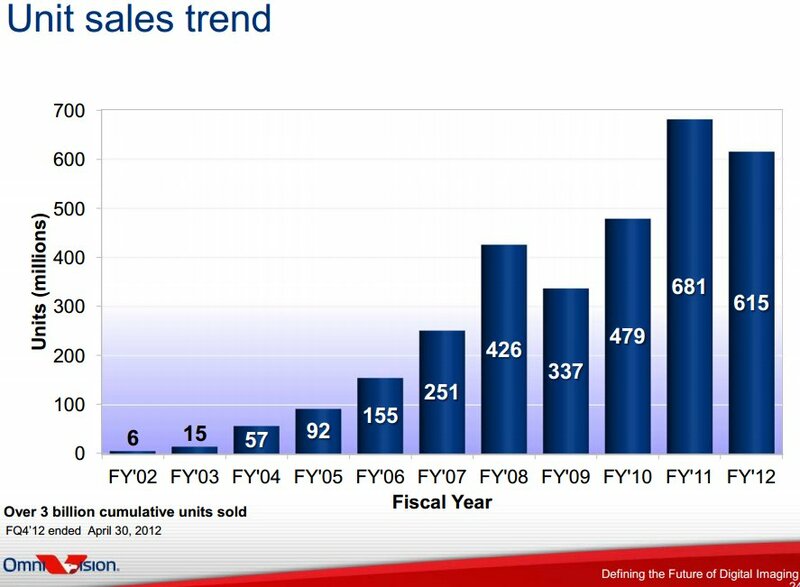 Jacques Duparré, Pelican Imaging Corp.
Consumer cameras: a declining or a growth market? The Symposium is to be held at Fraunhofer's Beutenberg Campus in Jena / Germany on November 27-29, 2012. Thanks to AT for sending me the link! e2v announces that it has been awarded a £3.8m grant from the Regional Growth Fund administered by the UK Department for Business Innovation and Skills. The grant is part of an overall investment of £13.5m into e2v's space imaging business. It is anticipated that the project will create 130 new jobs at e2v and a further 30 jobs with e2v’s partners over the coming 3 years, including at the Open University and Rutherford Appleton Labs. PR Newswire: TowerJazz announces that researchers at the University of California, Irvine's (UCI's) Nanoscale Communication Integrated Circuits (NCIC) Labs have built a W-band (80-100GHz) 2×2 focal-plane array with record NETD (noise equivalent temperature difference) performance for passive millimeter-wave imaging using TowerJazz's SiGe BiCMOS process (SBC18H2). This imaging receiver (without antenna) achieves a measured average responsivity and noise equivalent power (NEP) of 285MV/W and 8.1fW/Hz1/2 respectively, across the 86-106GHz bandwidth, which results in a calculated NETD of 0.48K with a 30ms integration time. This represents a 1-2 orders of magnitude improvement in NEP vs. other methods and demonstrations to date, a 4-10x improvement in NETD vs. e.g. 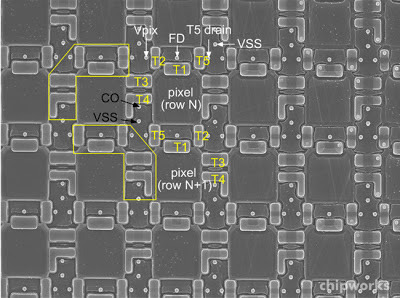 65nm CMOS. With antenna, the system NETD increases to 3K with on-chip antenna due to its low antenna efficiency at W-band. This work demonstrates the highest integration level of any silicon-based system in the 94GHz imaging band and the responsivity achieved is orders of magnitude higher than previous work. The FPA designed and fabricated using TowerJazz's silicon process incorporates four Dicke-type receivers representing four imaging pixels. Each receiver employs the direct-conversion architecture consisting of an on-chip slot folded dipole antenna, an SPDT switch, a low noise amplifier, a single-balanced mixer, an injection-locked frequency tripler (ILFT), an IF variable gain amplifier, a power detector, an active bandpass filter and a synchronous demodulator. The LO signal is generated by a shared Ka-band PLL and distributed symmetrically to four local ILFTs. The measured LO phase noise is -93dBc/Hz at 1MHz offset from the 96GHz carrier. Within the millimeter-wave frequency range (30-300GHz), there are propagation windows located near 35, 94, 140, 220GHz, where the atmospheric absorption is relatively low. James R. Janesick, Sarnoff Corp. Thanks to AT for letting me know about the program! 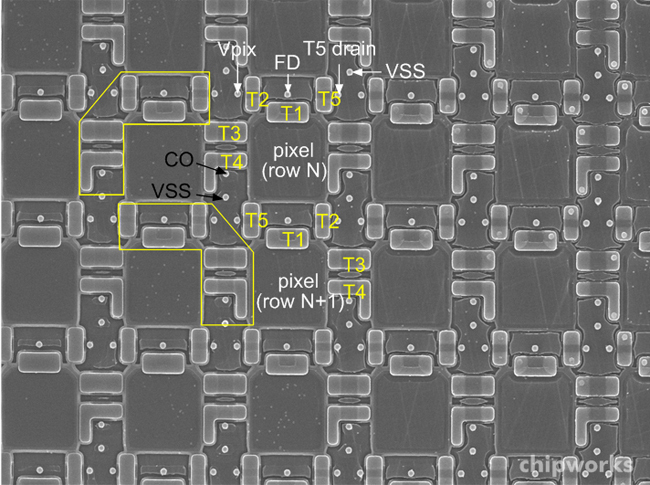 Monolithic optical structures for light gathering in image sensors are focused. First, microlens progresses, such as gapless microlens, inner microlens and light pipe are explained. Then, back side illumination (BSI) is compared with front side illumination (FSI). Lastly, recent FSI technology, SmartFSI, is reported along with its pixel shrinkage results. This presentation is supposed to explain how Panasonic claims on making small FSI pixel better than BSI. 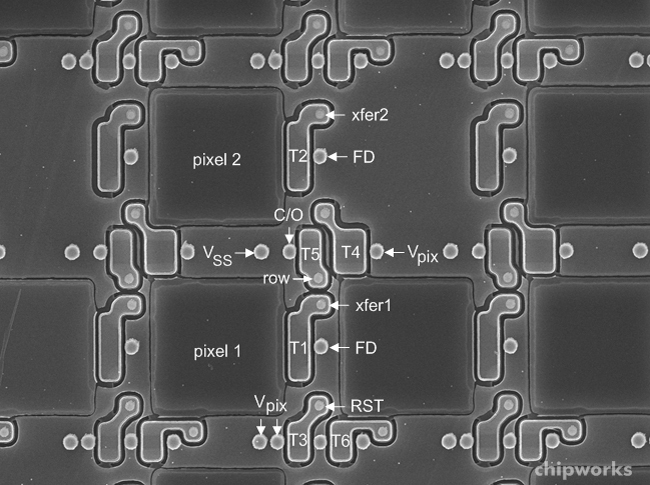 1.12um backside illuminated CMOS image sensor with backside deep trench isolation (DTI) has been demonstrated for the first time. DTI is fabricated on backside surface after wafer bonding and grinding process. Backside DTI makes its layout simple because no transistor isolation exists on backside. We have confirmed 50% reduction of crosstalk. Many groups have experimented with DTI idea, but the higher dark current and hot pixel rate prevented its productization so far. I wonder whether Toshiba engineers were able to solve these problems. This work presents a complete and quantitative analysis of the ultra-high extrinsic quantum efficiency in amorphous oxide hetero-TFT image sensors, taking into account the high sub-gap optical absorption due to oxygen vacancies, extended electron lifetime due to retarded recombination, and the reduced transit time associated with short channel lengths. 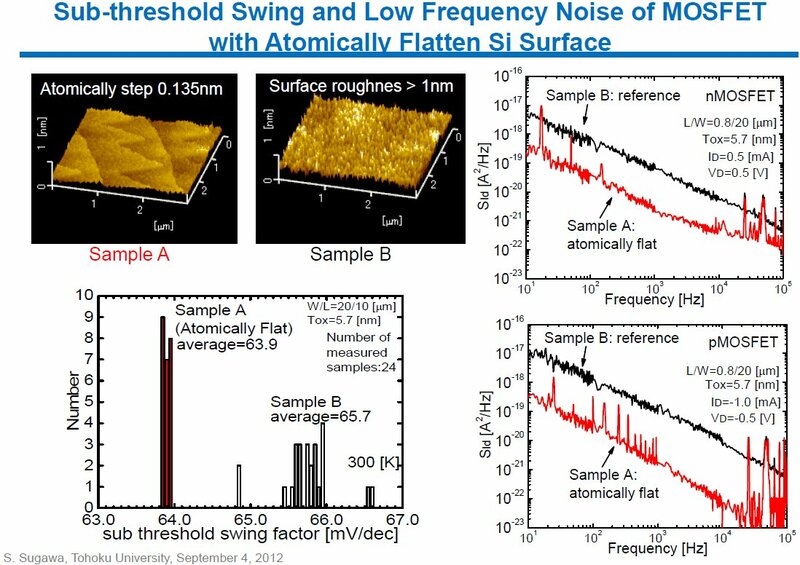 We designed and fabricated an In0.53Ga0.47As/InP Single-Photon Avalanche Diode with improved layer structure and diffusion geometry in order to achieve good detection efficiency (30% at 1550 nm), low afterpulsing (gate repetition frequency > 1 MHz) and good timing performance (timing response has 57 ps FWHM and 30 ps tail). A graphene stack (GS) structure assembled by layer-by-layer (LBL) transfer of single-layer graphene (SLG) is applied in field effect transistors (FETs) for photodetection. Excellent optoelectronic performance of ~3.6 times increased photocurrent (PC) together with increased internal/external quantum efficiency (IQE/EQE) is obtained in the LBL-GS-FET compared to the conventional SLG-FET, owing to (i) the improved electrical transport, e.g., carrier mobility (4.1 times higher), sheet resistance (61% reduced) and contact resistance (81% reduced) etc., and (ii) the increased optical absorption (over fivefold higher in the visible spectrum). A photovoltaic (PV) model of the LBL-GS-FET was established, indicating a peak of PC generation due to the optimized gate modulation. Both the experimental and theoretical results suggest the LBL-GS as an excellent material for high efficiency optoelectronics. 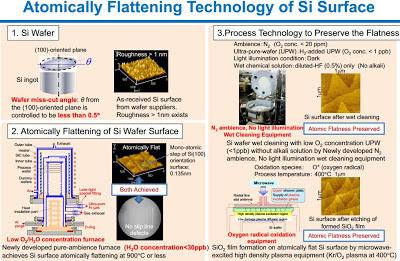 Hydrogen-plasma-enhanced Se vapor selenization is used to produce efficient Na-free CuInSe2 (CIS) sensor and solar cell, and low temperature plasma-deposited Si thin film solar cell and transistor with 400 cm2/V-s mobility are stacked on top the CIS layer. For the first time, we report a novel stacked Si/CIS/Si solar cell design that provides 15.8%-efficient bifacial operation. The Si TFT and back side Si solar cell is also an effective UV-visible band filter reducing light degradation and environmental noise on CIS image sensor. This hybrid image sensing and energy-harvesting technology is intended for applications in multi-functional panel with CIS performing both stacked solar cell and stacked TFT/sensor functions but in separate areas. We demonstrate the chip-level hetero-integration technology for high speed and highly parallel 3D stacked image processing system. 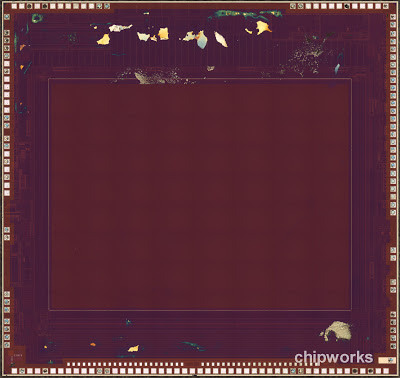 The different function chips, which were fabricated by different technologies, are processed and stacked vertically to form a prototype 3D stacked image processing system in chip-level. The fundamental functions of each layer are characterized in the prototype 3D stacked image processing system. By measuring 1680 ROs fabricated in a commercial 40 nm CMOS technology, statistical nature of RTN-induced delay fluctuation is described. 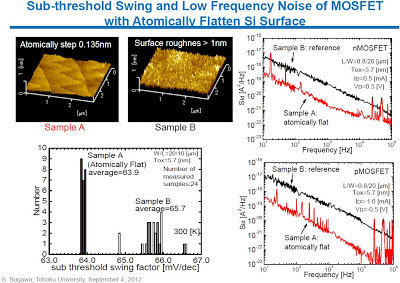 Small number of samples have a large RTN-induced delay fluctuation. It is found that the impact of RTN-induced delay fluctuation becomes as much as 10.4% of nominal oscillation frequency under low supply voltage (0.65V) operation. It is also found that more than 50% reduction of frequency uncertainty can be achieved under 0.75V operation by slightly increasing the transistor size. The impact of the parameters that can be changed by circuit designer is clarified in view of RTN-induced CMOS logic delay uncertainty. Albert Theuwissen published a new post talking about bad pixel types, how to detect them and more. BSI image sensors account for 18% of total CIS sales in 2012. This fast adoption of the BSI technology is expected to reach more than 50% by 2017, increasing revenue to $5.7B. On IDM vs fabless: The only companies that are financially sustainable with an IDM model are vertically integrated from leading-edge 300mm CIS manufacturing up to the system level: Samsung, Sony, Panasonic and Toshiba. 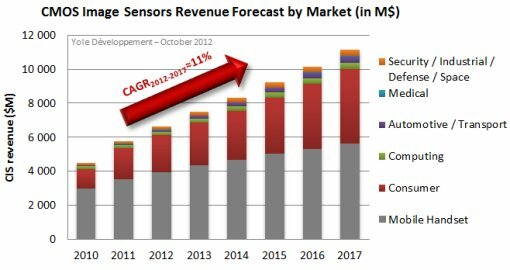 CMOS image sensor market is expected to grow at an 11% CAGR in revenue in the 2012 - 2017 period, growing from $6.6B in 2012 to $11B in 2017. Three fast emerging applications of significant size should drive the growth of the market to an expected CAGR over 30%: Tablets, Automotive, and Smart TV. The CIS sales for tablets will represent nearly $1.5B in 2017. The primary camera module has 8.0 mm x 8.7 mm x 5.2 mm size, while the die size is 6.15 mm x 5.81 mm. 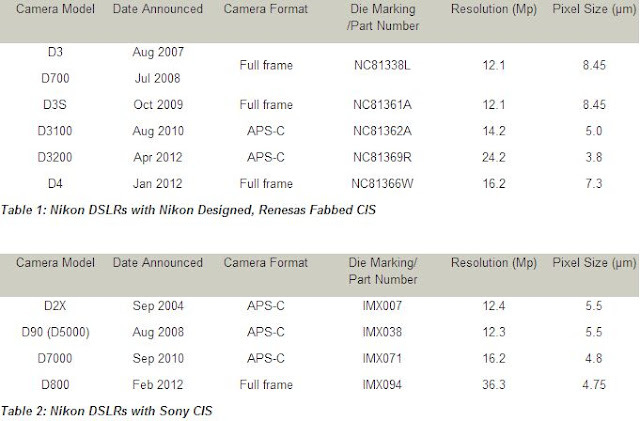 The sensor is made by Sony and based on 1.4um BSI pixels. The front-facing Omnivision's sensor has 1.2MP resolution and is based on 1.75um pixels. Its die size is 3.35 mm x 4.15 mm, the module size is 5.5 mm x 6.0 mm x 3.6 mm. PixArt announces that it owns a total of 626 granted optical navigation-related patents over the world. The granted patents cover circuits, algorithms, system application, package, optical structures, and semiconductor process, which can be widely applied to the products such as optical mouse and optical finger mouse. Part of these patents were received through a patent deal with Avago at the end of 2011. Avago sold some optical navigation patents and exclusive licenses of its optical navigation patents to PixArt. Under this agreement PixArt also has the right to sue anyone who infringes these patents. Seeking Alpha releases some data on Ambarella video ISP business toward its planned NASDAQ IPO. The business is quite dynamic: ISPs for pocket video cameras accounted for 40% of the company's revenue in 2011, went down to 15% in fiscal 2012 and then to only 1% of revenue in the first half of fiscal year 2013. The proliferation of smartphones and their ability to capture high-quality video and still images has effectively wiped out the pocket video cameras market. The sharp drop of pocket video market has been compensated by rising sales on wearable sports camera market, the IP security camera market and the automotive aftermarket cameras. 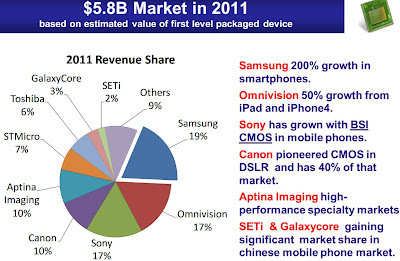 For the six months ended July 31, 2012, 72% revenue was attributable to the camera market and 28% of revenue was attributable to sales into the infrastructure market. On the infrastructure market, Ambarella customers include Harmonic, Motorola Mobility (owned by Google), and Telefonaktiebolaget LM Ericsson. 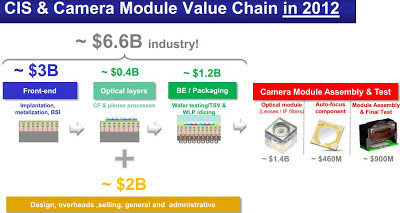 On the camera market, Ambarella's chips are designed into products from leading OEMs including GoPro, Robert Bosch and affiliated entities and Samsung, which sources its solutions from ODMs including Ability Enterprise, Asia Optical, Chicony, DXG, Hon Hai, and Sky Light Digital. As of July 31, 2012, Ambarella had 425 employees worldwide, 81% of whom are in R&D. Ambarella (AMBA) planned a $60M IPO with a market capitalization of $259M at a price range mid-point of $10 for today, October 10, 2012. However, at the last moment the share price was changed to $6, so that the company IPO raised only $36M. The trade opened at $6.64 and is currently trading at $6.32. Digits: freehand 3D interactions anywhere using a wrist-worn gloveless sensor. Presented at the 25th annual ACM symposium on User interface software and technology, Oct. 7-10, 2012 in Cambridge, MA, USA. Microsoft's team acknowledged the current device was still some way from being ready for market. 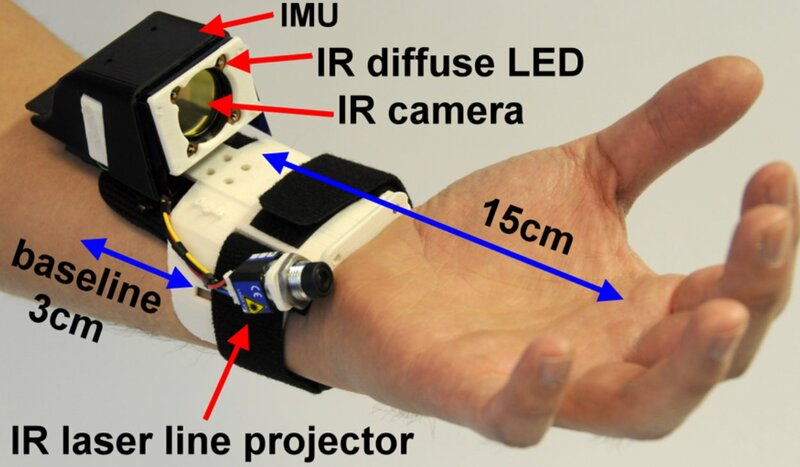 It currently needs to be attached to a PC to carry out the necessary computations, making it impractical for real-world use. It also struggles if two fingers are crossed, the hand is flattened or if the user is holding something while making the gestures. However, the researchers suggested all these issues could be overcome with further work. Digitimes reports that HTC is going to switch its CIS orders from Samsung to Omnivision and Sony. Pixpolar updated its on-line image sensor simulator. PSF and pixel size were added to simulate the crosstalk. It looks like SiOnyx gets competition on the black silicon market (so to say, I'm not sure there is a market yet). Fraunhofer announced a progress in its own black silicon manufacturing process. "Black silicon is produced by irradiating standard silicon with femtosecond laser pulses under a sulfur containing atmosphere," explains Dr. Stefan Kontermann, who heads the Research group "Nanomaterials for Energy Conversion" within the Fraunhofer Project Group for Fiber Optical Sensor Systems at the Fraunhofer Institute for Telecommunications, Heinrich-Hertz-Institut, HHI. "This structures the surface and integrates sulfur atoms into the silicon lattice, making the treated material appear black." If manufacturers were to equip their solar cells with this black silicon, it would significantly boost the cells’ efficiency by enabling them to utilize the full Sun spectrum. So, the Fraunhofer researchers are planning a spin-off to market the laser system that manufacturers will be able to acquire to expand their existing solar cell production lines. "We hope to be able to increase the efficiency of commercial solar cells – which currently stands at approximately 17 percent – by one percent by combining them with black silicon," Kontermann says. While Fraunhofer claims are quite similar to ones of SiOnyx, the SiOnyx name has not been mentioned in the article. 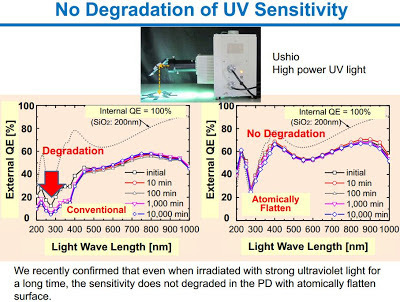 A year ago SiOnyx reported achieving 0.3% improvement in solar cell efficiency. TV Week: The National Academy of Television Arts & Sciences (NATAS) announced the recipients of the 64th Annual Technology & Engineering Emmy Awards that will take place at CES on January 10, 2013. This is the 7th consecutive year that the Technology and Engineering Emmy Awards have been presented. I was told that the fact that the adjectival phrase "large format" was inserted means that all others are still under consideration for future awards. Thanks to MS for the link! the effect of a single trap in the source follower, then the two flipping signal levels in combination with the CDS can be observed as 3 RTS levels, without CDS they remain as 2 RTS levels." Ubergizmo reports that Rohm’s CIGS NIR image sensor won CEATEC Japan 2012 Innovation Award. Rohm's sensor was selected because it allows the creation of NIR cameras that are much more power-efficient, small and cost effective than alternative solutions. Different version of this sensor have been exhibited at CEATEC shows since 2007 (Tech-On), but have not been awarded up to now. 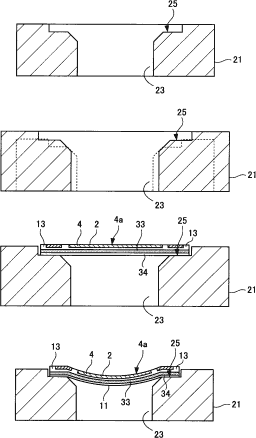 According to the Egami post, Sony proposes to control curvature by varying the magnetic force, volumetric shrinkage of the base due to heat, or by changing a vacuum suction force. Sony says that one needs to leave a flat portion of silicon around the curved one to avoid cracks. Yole Développement published "X-ray and Endoscopy Medical Imaging Applications & Technology Trends" report with sub-title "How CCD, CMOS and a-Si are Reshaping the Medical Imaging Industry". 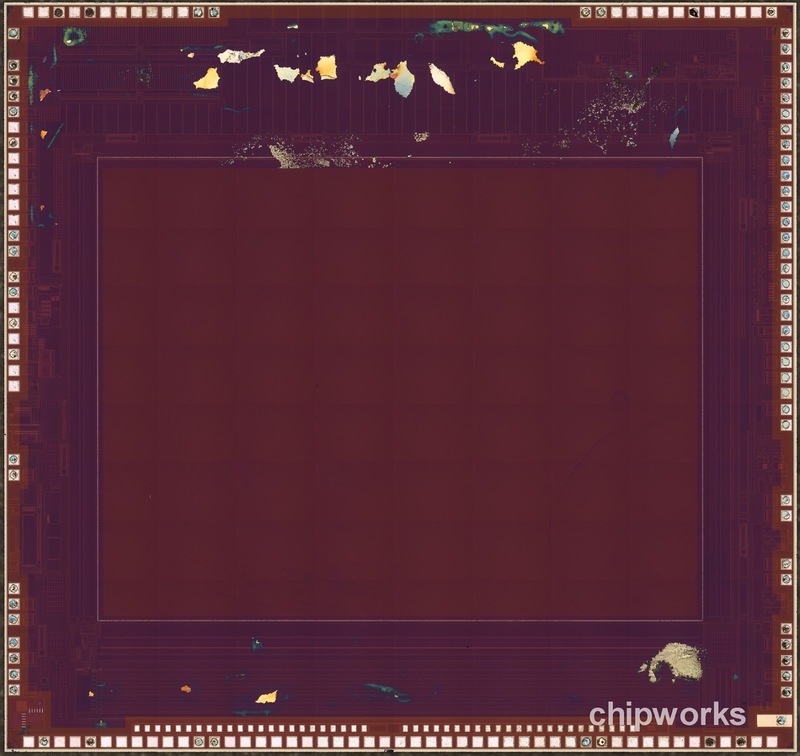 The EV76C454 is a 850 x 640 pixel CMOS sensor. Its innovative pixel design offers excellent performance in low-light conditions and it has an electronic global (true snapshot) shutter which offers a high readout speed of 60 fps in full resolution and 80 fps in VGA mode. Very low power consumption enables this device to be used in battery powered applications. The 2013 International Image Sensor Workshop to be held at Snowbird Resort, Utah, USA, June 12-16, 2013, announces Call for Papers. 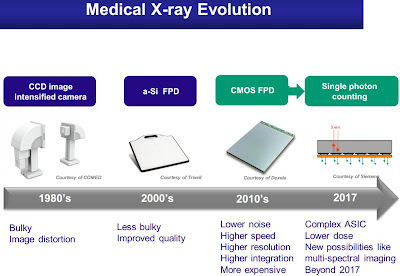 CMOS Image sensors, CCD and CID image sensors. New architectures. Image sensors with rolling shutter and global shutter. High image quality. Low noise. High sensitivity. High color reproduction. New devices and structures. Advanced materials. Pixel simulation: Optical and Electrical simulation, 2D and 3D, CAD for design and simulation. 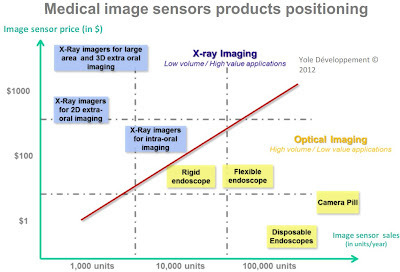 Image sensors and pixels for depth sensing: TOF, RGBZ, Structured light, etc. New fabrication techniques. Backside thinning. Scaling. Defects. Leakage current. Radiation damage. Abstracts should be submitted electronically to the Technical Program Chair, Gennadiy Agranov (see email in the pdf doc) by January 23, 2013. An abstract should consist of a single page of text with up to two pages of illustration, and include authors’ name(s) and affiliation, mailing address, telephone and e-mail address.